A popular add-on to Kruger safaris but also well worth exploring in its own right, the Panorama Route is a loose circuit of mostly natural attractions associated with the towering cliffs that divide the highveld around Sabie and Graskop from the lowveld of the Kruger Park and Mpumalanga’s provincial capital Mbombela (formerly Nelspruit). 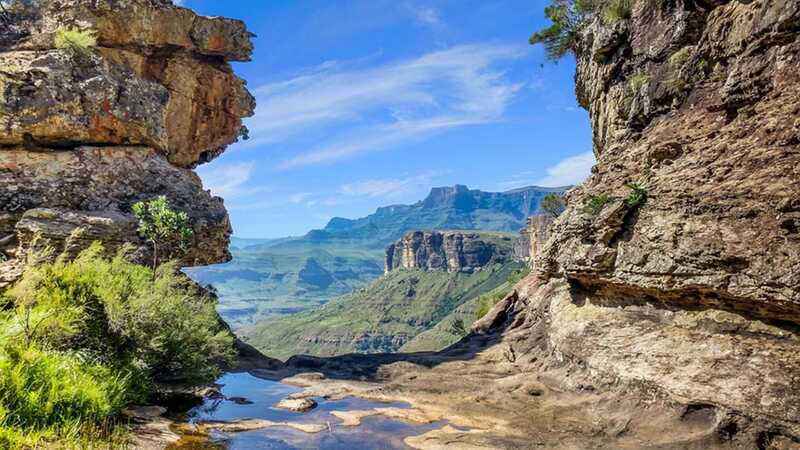 A scenic and ecologically-varied region, its defining feature is the Mpumalanga Escarpment, a geological extension of the Drakensberg that rises sharply from the coastal plain (below 500m) to several peaks that top the 2,000 m mark. Although much of the region is given over to exotic plantations, significant tracts of indigenous forest remain, especially on steep cliffs, as do several areas of grassland studded with proteas and red-hot pokers. The region is notable historically as the site of South Africa’s earliest gold rush, one that proved to be short lived, as far richer seams of gold were discovered soon after in the vicinity of Johannesburg. Well worth a stop if you pass through Mbombela, the 169 ha Lowveld National Botanical Garden, set on the confluence of the Nels and Crocodile Rivers, is of equal interest to botanists and ornithologists. 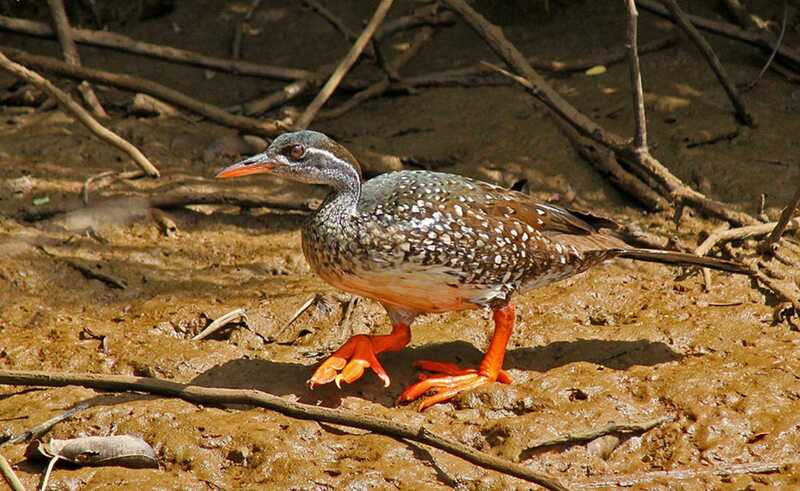 The rainforest section protects a vast collection of prehistoric cycads, while a bird checklist of 250 species includes Purple-crested turaco, Half-collared kingfisher and African finfoot. Situated at the confluence of the Blyde (Joy) and Treur (Sorrow) rivers, the bizarre riverine formation known as Bourke’s Luck comprise a series of deep cylindrical potholes created entirely by water erosion, and can be explored along a short network of paths and footbridges. The 25 km-long and 1.4 km-deep red sandstone Blyde River Canyon, protected within a 270 km2 nature reserve, is one of the largest and most spectacular features of its type on earth. It offers much to keen walkers and wildlife lovers, with the most rewarding of several day hikes being the Kadishi Trail, which leads through lush indigenous evergreen forest, inhabited by Vervet and Blue monkeys, to an impressive stalactite-like Tufa waterfall. Look out for localised and endemic birds such as Knysna turaco, Narina trogon, Southern bald ibis, Cape vulture and Gurney’s sugarbird. 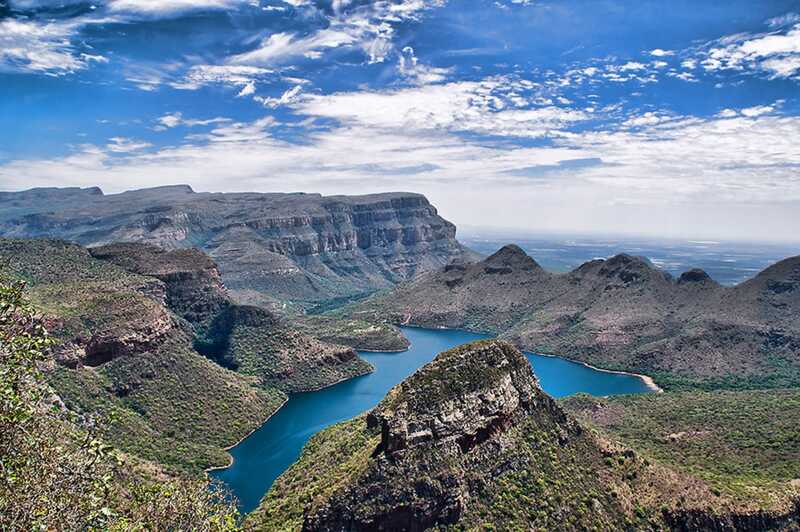 One of the most scenic spots anywhere in South Africa, the Three Rondavels viewpoint gazes across the wide Blyde River Canyon – the river itself a blue ribbon hundreds of metres below – to a striking trio of outcrops that recall traditional thatched rondavels (round houses). The dank, cool chambers of the Sudwala Caves support some wonderful limestone drip formations and can be explored on regular guided tours that lead about 500 m deep into the subterranean labyrinth. Pilgrim’s Rest mushroomed into life in 1873 following the discovery of a large deposit of alluvial gold. The boomtown’s heyday was short lived, but it was later restored as a living museum evoking the gold rush era. Points of interest include the Anglican Church (built in 1884), the Methodist Church (1911), Catholic Church (1928), Old Police Station (1902), and the hilltop cemetery whose graves all point in the same direction, the one exception being an anonymous Robber’s Grave. The finest of several viewpoints offering views along the R532, God’s Window offers a splendid view over the edge of the escarpment to the expansive lowveld more than 1,000m below, though its impact depends on very clear weather. The tallest single-drop waterfall in the region, the twin-stream Lisbon Falls plunges over a 90m stone amphitheater whose base is accessible via a steep footpath. The main air gateway to Mpumalanga is Kruger-Mpumalanga International Airport (KMIA), which stands about 25 km northeast of Mbombela off the R40 to White River. It is connected to Gauteng’s OR Tambo International Airport by several scheduled flights daily, there are also direct flights from Durban and Cape Town, and several car rental companies are represented there. For couples or families, it may well be more affordable to rent a car out of Gauteng and drive, following the N4 east from Pretoria to Mbombela, or the N12 from Johannesburg/OR Tambo to connect with the N4 at eMalahleni (formerly Witbank). The drive takes 3-5 hours, depending on your ultimate destination. Self-drivers could visit most sites along the Panorama Route in one day, but two would be better. A good variety of hotels and lodges are available in Mbombela as well as smaller towns such as Hazyview, Sabie and Graskop.